Mosa appears and demands The Midnight Gem folks do her just a tiny itty bitty favor. It had been a question burning in Kynier’s mind from the beginning of the conversation. Kelski had undoubtedly sensed that from him, and he could feel that her curiosity to what types of books they would be retrieving equaled his own. She too was aware that not all the books found might be welcomed at the Library with Remmy. It would be something that he’d suggest on their way back up, looking through all the books briefly to filter out the selection, even only he and Kelski shifting through them. Listening to Mosa describe the various topics, she mentioned how the mages had taken those ancient tomes to other places in the world. There was a bit of disappointment that settled in his heart when hearing, also a deeply settled twinge of amusement. Not all mages that came to Sunberth deliberately were insane enough to stay… like him. The lines of the copy he was making were light as he was trying to use the magic ink sparingly. Which was fortunate considering how the details were changing. The first time Mosa gave his hand a helpful smack he smiled at her with as mirth as there was surprise. “Hey!” he softly exclaimed before continuing. Each additional detail she mentioned he carefully drew. And when Mosa took her quill to hasten his copy along, he chuckled softly to himself before he traced over the lines the old Denvalian made with the magic ink. It would not do to have an incomplete copy of the map placed with their memories. Her warning about keeping the packs’ abilities secret gave him an instant’s pause. It was the irony of the possibility. Kynier had intentionally suffered many injuries that he could have avoided, just to keep his abilities secret. The idea that using a magical item could the harbinger of his demise was something he had not considered. The Sunberthian attitude on mages was well known, but now he was wondering about the city’s opinion on magic items. Certain individuals of authority had no qualms about them, but it was more likely that the general masses would be the ones that gave him trouble. Kelski’s mention of climbing and repelling gear had stolen his attention for an instant. Her nervousness was well noticed by him, though the revelation was more enlightening than anything else. The Sea Eagle would be gone for a full day, sometimes a little longer, periodically. Now, he at least had an idea of where she was during that time. Kynier did not suppress the bond but attempted to stifle his intrigue to where she had been going as well as why. Sometimes he had to remind himself, no matter how close they were, they were still two separate people. She would tell him when she was ready, and he wouldn’t push the subject. Through the bond, Kynier could sense Kelski’s feelings towards the old woman. The strongest forms were reverence and strong affection. It had led his suggestion to having Mosa stay the night encompassed by Gem’s comfort, rather than walk back. Social niceties and nuances were not the mage’s strong suit, so slight affection of Mosa’s appreciation to his offer reverberated deep within him. Were all the elders like this, or was it just Mosa? Very few humans ever reached the woman’s age, and the mage had never known any. Kynier stopped his copying to give his full attention to Mosa when she described Denval even more. It sounded like the absolute opposite of Sunberth. They had order, education, and a well-established form of government. The only similarity he heard was the extensive training for war. While she described it as both wonderous and terrible, Kynier could not admit that it sounded terrible at all. He would’ve liked to have seen some of Denval’s characteristics spread throughout the world. The empires before the Valterrian had lasted thousands of years. Was it so wrong to cling to those old ways? Kynier glanced back and forth between the original map and his copy. Ignoring the additions that had been made, it looked as though he was done. Carefully, he examined each of the lines that had been drawn on his copy to ensure that his magic ink had been applied to it. The map itself had not used too much of his supply. But the function behind it made it more than worthwhile. Kynier set his copy of the map down and closed his eyes. He thought about the map and recalled the details of it from his memory. It was like it had been branded into his memory. Every path and corridor that had been drawn was there in his mind. Kynier opened his eyes and looked down at the map again. Everything on it was magically etched into his memory. He smirked as he lifted the copy from the table and heard Lia and Duncan’s brief conversation about her involvement. Kelski yawned and Kynier suppressed his urge to mirror it. He was not ready to retire for the night. This concept of using the air to lighten the crates, as well as slow a person’s decent, was something he intended to test tonight. As Mosa expanded on the various types of books, Anja remained quiet but listened closely, a look of interest dawning on his features. Anja wasn’t much of a reader; most of the things the Drykas knew had been learned and improved on through practical action and practice rather than studied from a book. But not even he could deny the use of compact knowledge, even if he hadn't made much use of it up to this point. What other strange pieces of knowledge could be hidden there? 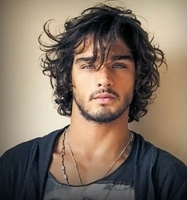 The texts on strange Gods peaked his interest, and Ebon's questions on medical texts had him nodding in agreement. It was a shame there weren't any books on magic. The Spiritist would be intrigued to find information on ways to improve his Spiritism...but even with the absence of that it was far too good an opportunity to resist. His grandmother had often said that knowledge was the cure to ignorance. Anja wondered for a moment if such a cure could be used to help the citizens of the city. Or would they reject the help that the knowledge offered them? Anja was intrigued by Kelski's mention of rappelling gear, but the uncertain glance she gave Duncan made the Spiritist not question the matter further. Was she hiding something? Kelski had always been very open with Anja, so the reticence was a bit of a foreign reaction to the Drykas. Perhaps it was something she wished to keep from Duncan? Or, as reluctant as he was to think it, from Kynier? The man swallowed his questions for the moment. Perhaps they could speak on it at a later time, when the uncertainties of their quest weren't threatening to swallow them up. When Duncan spoke to Anja, the Drykas chuckled a little at the housemate's formal greeting. “It seems a strange thing to not have been properly introduced to one whom one lives with, doesn't it? You're well met, Duncan.” Anja added a smile to his greeting. Anja had not met an Isur before Duncan, but he was becoming accustomed to meeting people of different races and cultures in this city and had not displayed any confusion or concern over Duncan's talk of his race. Sunberth, for all its flaws, was truly a melting pot of race and culture and Anja was becoming used to the uncertainty that came with that. Duncan's acknowledgement of Anja's abilities was met with a smile and a a humble dip of his head. “I can only hope that my Goddess given talents will be of some use to us in our expedition,” Anja replied quietly. Mosa's request for a blanket was met with a smile and a nod. Anja gently pushed the puppies off of his lap and onto the floor and returned to his room, followed by the usual tripping hazard under his feet as Sayeth determined to remain as deliberately close to his master as possible. Practice allowed the man to avoid any accident and he had soon returned from his room with a bundle of spare blankets, which he set to work tucking around Mosa in such a way that she would find herself in a soft cocoon of comfort and relaxation. He accepted the woman's thanks with a simple nod, before lifting his pair of trip hazards back onto his lap and settling in to listen as Mosa spoke further. “Denval sounds like a very different place than Sunberth,” Anja noted aloud. “One might even say it sounds the opposite of Sunberth.” The talk of structure and organization reminded Anja a touch of his own Drykas culture, though there were clearly intense differences. What would it have been like to live there? Anja had to imagine he would have disliked it. Although it sounded safe, it also sounded stifling. Anja couldn't say that Sunberth was better, what with its wonton murder, slavery, and starving poor. But in a way that strictness also sounded oppressive. Was it better? Anja hadn't known the city, so he couldn't say for sure one way or the other. Anja accepted the map from Kynier with a puzzled expression that cleared when the man explained the purpose of the ink. “Fascinating,” Anja said curiously. “And how did you stumbled upon something such as this, I wonder?” Anja took a considerable amount of time to study all the lines of the map, and followed Kynier's lead in closing his eyes. Indeed, as Kynier said, the Drykas could remember every line of the map with a stark clarity. He smiled and passed the map on over towards Kelski. “Fascinating,” Anja said. As the conversation wound down and Mosa nodded off, as Grandmother's are wont to do when they are warm and comfortable, Anja gave a concerned look at the elderly woman. “Should we move her to the guest room?” Anja suggested. “I would hate for her to end up with back pains from sleeping on the couch.” If an agreement was reached, Anja would see to moving the elderly woman to the guest room, finding little difficulty in it considering how small and light she was. After having done so Anja would check to see if the conversation and action of the night had been concluded. Once it was done so, Anja would take the pups, wish everyone a goodnight, and depart to his room for the night. “Put her in Duncan’s old room. He moved into the guest room with Lia when she came… to give her space close to him but not exactly with him.” Kelski said softly, smiling slightly at how gently Anja treated Mosa. She said goodnight to Anja and the pups as well, then nodded to Kynier as well. The Sea Eagle was tired and it had been a long day. Kelski planned on getting up early, gathering the supplies they wanted, and having it ready to depart late morning. “If anyone needs anything special…” She called to everyone as she walked out…. “Leave a note in the morning and I’ll go shopping.” She added, yawning again and nodding to Duncan and Lia as she slipped out of the room. She’d bathe quickly, slip into bed, and get some sleep before the adventure started in the morning. In the morning, when she arose, washed, and dressed she found Mosa was up and had already prepared a huge breakfast. There were notes on the table and so she dutifully took her own list, whatever anyone else wanted, hooked up Moth and drove to town to gather supplies. She’d be back hopefully in time for everyone to be up and about and fed. Kelski skipped her morning scouting flight and counted carrying supplies up the stairs as her exercise instead. She’d hoped Kynier had found the time to test the pack’s capacity, though she had no idea what he’d test it with unless it was the stores in the pantry. They had piles of onions, potatoes, vegetables and fruit in the cool storage area they kept excess food. Kelski’s library was paltry and made up of just a few hand-written books. The only test of the backpack she’d done on it had happened during the rains when she’d filled her backpack with so much sand she thought it would explode and then had used the sand to take care of the mud the horses had created in the yard near the barn opening and the gate opening to the beach. The Sea Eagle had also taken the time to look over the map carefully. Retrieving Denval’s treasures was important to Mosa thus it was important to her. So Kelski was trying to prepare as much as she could to follow the map. If nothing had vastly changed underground, then the walking would be easy. But Kelski was ready if there were changes or obstacles they hadn’t planned on. The only thing she couldn’t deal with was a cave-in or some sort of tunnel collapse which was possible when it came to the city and its vast changes. Rested, well supplied, and fed… Kelski was ready to go. She’d packed in her backpack enough food and water for several days. She had her climbing gear, the map firmly locked in her brain, and companions ready to accompany her. She’d made arrangements with Ebon and Ember to watch the shop and take care of the place… and The Gem knew she was going to be gone a bit. Kelski wasn’t sure what else they needed. So she left the rest up to the other folks and settled down to weight until everyone else was up and about and they were ready to go. And when they were all ready, Kelski would head out with everyone else escorting Mosa back to her tent in tent city where they could all take the entrance down on the start of their underground adventure. Duncan took the opportunity to examine Kynier's map as it was passed around. While he was a bit apprehensive of the idea of the magical ink used in the drawing, he looked over the map anyway. Time would tell if the magic used would allow for easier navigation. When he'd finished looking it over, Duncan passed the map on and gave a bit of thought to the whole venture before them. There was of course the participants. Kynier, Anja, Kelski, Duncan himself and despite his wishes to the contrary, Lia. They all professed various talents and possessions that would aid in the given task, each with their own strengths that would likely prove quite useful. While there was a lot of information shared by Mosa, there were so many variables that could complicate the whole thing. While he wasn't much of a planner, Duncan took comfort in the idea that there was at least some semblance of direction. There was preparations for supplies, everyone had their own equipment...of sorts and each knew what they brought to the whole. It was as good as it was going to get. As the evening came to a point where everyone was off to bed, Duncan smiled at Kelski as she departed. Standing, he offered his hand to Lia who took it and also stood. The two retired to their chambers. "Are you sure you are ready for this?" Duncan asked Lia as they readied for bed. "This isn't the forest, it isn't even the city. We are going into an abandoned mine. There is no light, you are surrounded by stone and who knows what has taken up a life down there." Duncan was confident in his own ability to handle whatever the underground had to offer but he was concerned for Lia. They hadn't known each other all that long but in what time they had he wasn't certain of how she would handle potentially confined spaces and unseen dangers. "I'll be fine. Besides, this is an adventure. It's the kind of thing I've always wanted to be a part of. It's something more than simple work. It's something more than being stuck in a workshop. It's one of those rare times where one can feel a part of something greater. I want to do this." Lia said as she stripped down and slipped into her bed. Duncan nodded reluctantly as he too crawled into bed. He leaned over and blew out the candle on the nightstand and the two drifted off to sleep. The next morning, the two awoke and readied themselves for the day. When they'd dressed, had a bit of breakfast in the form of some fruit and fried eggs, Duncan and Lia left the Gem for a short shopping trip. Kelski had offered to gather the items and gear that would be needed for the expedition but there were a few things Duncan wanted to purchase himself. Primarily, he wanted a climbing harness with the right fit along with a few other odds and ends. The Seaside Market was just the right place. Duncan and Lia picked up a couple harnesses as well as a couple hooded lanterns. They spent a bit of time finding just the right harnesses to fit them. Duncan also picked up an extra bit of rope as well as a dagger for Lia. In total, he spent 117 gm. The two returned to The Gem around mid-morning and began to pack. Lia packed light as she didn't have much to begin with. She filled a pack with her climbing harness, a bit of dried meat rations; which she wasn't all that fond of as she favored raw meat and some extra clothes. Duncan made her carry a dagger even though she didn't really know how to use one. She hung the lantern from the pack as well. Duncan prepared his own pack with the harness and lantern as well as some rations. He dressed in his warskirt and toothed gauntlet and packed away his survival toolkit. He paused for a moment before deciding to wear the breastplate and helmet of The Hammer. He considered the possibility that the armor would not be necessary yet he didn't want to go out unprepared. When they were both ready, Lia and Duncan sought out Kelski as the rest of the group gathered for the expedition. Anja’s question gave Kynier a slight smile after a moment’s consideration. For some time, he had been taking for granted just how much magic he had in his possession, and only now realized it. Perhaps that was his other contributive skill, or maybe it was just blind luck. “There’s a man I know that has a strong interest in magic items. He spends a lot of time chasing rumors about them. As a thank you for helping him, he gave me the ink.” Kynier watched the map get passed around and examined while listening to everyone’s ending contributions. He reciprocated the nod to Kelski, then bid Duncan and Lia a good night. What little help he gave Anja in moving Mosa to a proper bed was keeping the door open. As the Drykas gathered Battle and Sayeth back into his room, Kynier wished him a good night as well. While the rest of the residents settled in, Kynier went down to the training room to grab a few of the training weights. He brought them back up to the balcony and set down all but the lightest one. Kynier took a considerable time that night practicing what it was that Mosa had described. They were not crates full of books that weighed a few hundred pounds, but starting with smaller weights would help him figure out the exact application of res. Condensing the air made it as close to a solid object as possible without completely transmuting it into earth. Starting with the small weights, he discovered that no matter how “thick” he made the air it couldn’t keep an item from falling through. At least, not with only a few bells of practice at it. What he did discover was that providing an updraft against the “barrier” of air would slow the rate of descent. After working his way through the weights to the heaviest one, he started stacking them on top of each other, trying to discover how much he was able to manipulate with this technique. Eventually, he got to testing it with his full body weight. After a couple of falls, he ended his experiment for the night, not wanting to expend too much of himself before the journey. When the weights were returned to the training room, Kynier sat down to formulate a list of the materials he’d need for his own journey into the mines. First and foremost, repelling gear, a harness, and a bedroll. A hooded lantern and oil were the next set of things that came to mind. By his list, he set down a pouch full of mizzas. More than enough to afford what he needed. After that, he took a bath and grabbed some sleep. It was the smell of Mosa’s cooking that woke him up. Recognizing that it would be the last pleasant meal to have for some time, he thanked the fortune teller repeatedly for the meal, which turned out to be very delicious. After breakfast, he quickly made his way to the Majestic in Stumble Alley to tell Doler that he would be gone for several days. After that, he returned to the Midnight Gem to accomplish the last bit of preparation. He emptied the backpack of voiding of all the things he had stored in it and took it down to the beach. Kynier removed his boots and rolled up his pant legs before wading out into the water. When he was knee-deep, he stopped and drew up his Djed for Auristics. With his Sight, he focused on the magic pack to sense the immense hollowness within. Holding the mouth open, Kynier bent down and held the pack under the water. He could sense the water rushing in to attempt to fill the void inside. For the first several chimes he waited to feel some change in the level of emptiness he sensed inside the pack. He stood there for so long that his back began to grow irritated from bending over to hold the pack underwater. Chimes passed and he sensed no change at all. At the half-bell mark, he stood up straight and had failed to sense any change regarding the capacity. Wading back to the shore, he stood at the water’s edge and held the pack upside down, his will focused on the water that he had been filling it with. It poured out in a thick gush onto the wet sand. Kynier closed his eyes and cut the flow of Djed that fueled his Auristics. The sea water lapped at his feet, slowly causing him to sink into the sand as he emptied the pack. Occasionally, he would glance around to ensure that no one was within sight. Mosa’s warning from last night refreshed in his mind. After thirty more chimes passed, the water had reduced to a painfully slow drip. The mage went back up to the Midnight Gem to gather all his supplies. He wore the steel vambraces and greaves and stowed the rest of his armor in the pack should he decide he’d need it later. Several changes of clothes also went in, as well as food supplies to last one person for a week. Kynier thought it would be better to be oversupplied than the alternative. After the food and clothes were taken care of, he went outside to pack some firewood. Cold was a danger that had been mentioned, and they may want, or even need, to have a fire for warmth. Then he added the supplies Kelski had graciously gotten on his behalf. Before heading out, he threw on his dark green vest, weapons, and even his starfire oboe. Before they took off from the Midnight Gem, Kynier informed everyone of what he learned about the magic pack’s capacity. Ending his explanation with his belief that they possessed no limit. On the way to Mosa’s tent, he was stoic. His mind deviated to imagine what it was going to be like to go so deep underground.